Me (age 5): And this witch, Dad, she was flying on a broom all over my room, almost hitting me in the head! She was laughing and I knew she wanted to eat me up! Dad (exhausted, face covered in 5 o’clock shadow): There’s no witch in your room. No one’s gonna eat you up. Drink your tea. Me (sip, sip, sip, thinking all the while): Are you sure she didn’t hide when she heard you coming? Dad: No witch was hiding when you were screaming. You imagined her. Me (sip, sip, sip, still thinking): But why would I do that? She was real scary. Dad: Then forget about her. Think about someone you like. Me (sipping, thinking): I like Woody Woodpecker. Dad: Good. Think about Woody Woodpecker. 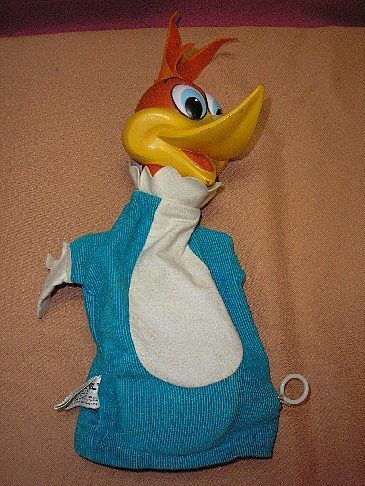 For my sixth birthday, my parents gave me a talking Woody Woodpecker puppet. His head was plastic and his body was blue corduroy. Someone I liked a lot at age 5. Doing this in the middle of the night was not something Dad loved, so that habit came to a screeching halt fast. Back to the present and the topic of tea. For a while I drank Snapple, sometimes Arizona Iced Tea or Sobe. Even though they tasted pretty good, they were full of sweeteners and crap that I felt was unhealthy. Then I switched to teas made by Honest Tea. I particularly liked the Assam flavor, but one day while sipping a bottle of it I did not notice the sludge at the bottom until I swallowed some of it. Then, I contacted them. They were very upstanding plying me with coupons and even some bags so I could brew my own. When I mentioned this to another iced tea aficionado, a fastidious chap that Martini Max liked to call Felix Ungar, Felix said, “Why don’t you drink Lipton Cold Brew? It’s hassle-free iced tea that you brew for a few minutes in cold water. 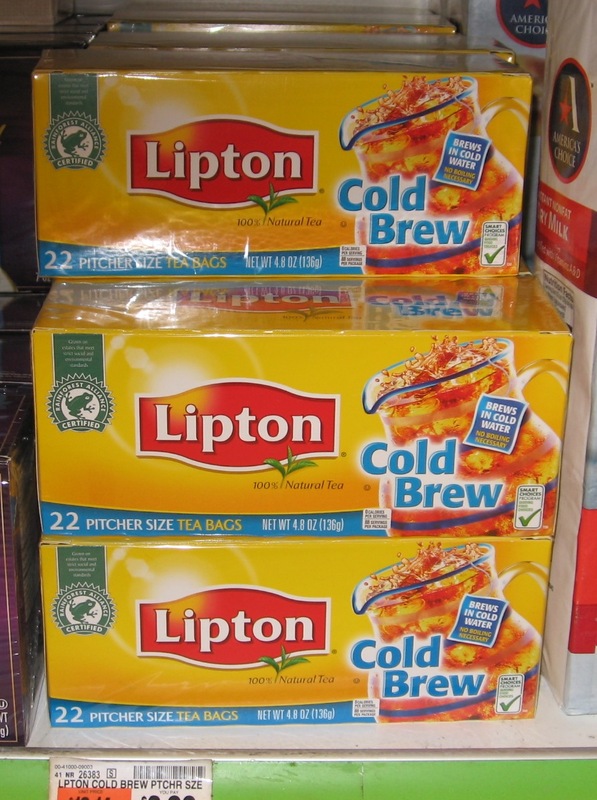 It tastes a lot like Assam, but you can get 22 quarts for the price of about three bottles of Honest Tea.” Felix was so sure that I would be a fan of Lipton Cold Brew he gave me a bag. I tried it. I liked it. When I considered how much I would be saving drinking Lipton Cold Brew over the costly ready-made varieties, money I could spend on theater, movies or the spirits of the gods – alcohol — I liked it even more. Yet, there is a catch with Lipton Cold Brew: finding it. For years, the Food Emporium in Tribeca near where I work has been my go-to source. This year it appears that they have stopped carrying it! My next go-to source is Amazon. For $17.86 they sell it in six packs containing 44 bags per box. That’s 264 bags. Even if I used 44 bags of this elixir each month in summer, that accounts for 132 bags or three boxes. My apartment is small, where am I going to put all these boxes? Clear space in my bookshelf, empty half my sock drawer, stack some next to the juicer I haven’t used in five years? I next considered giving a few of the boxes to my friends, but Milton is averse to anything healthy, Albee would use it as a doorstop, and Martini Max prefers the variety that is full of sugar and his favorite artificial lemon flavor. 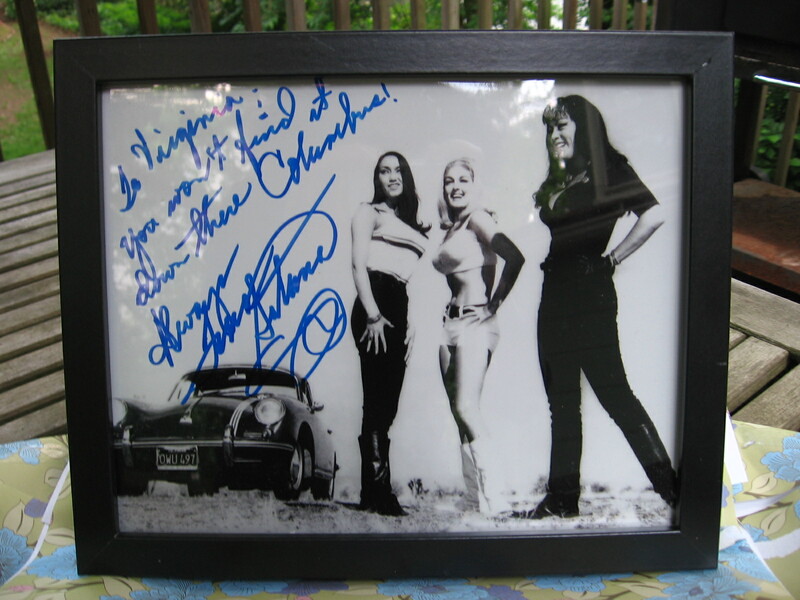 Plus, Max and Mabel, his Magnificent Muse, just gave me a framed signed movie still of Tura Satana for my birthday. 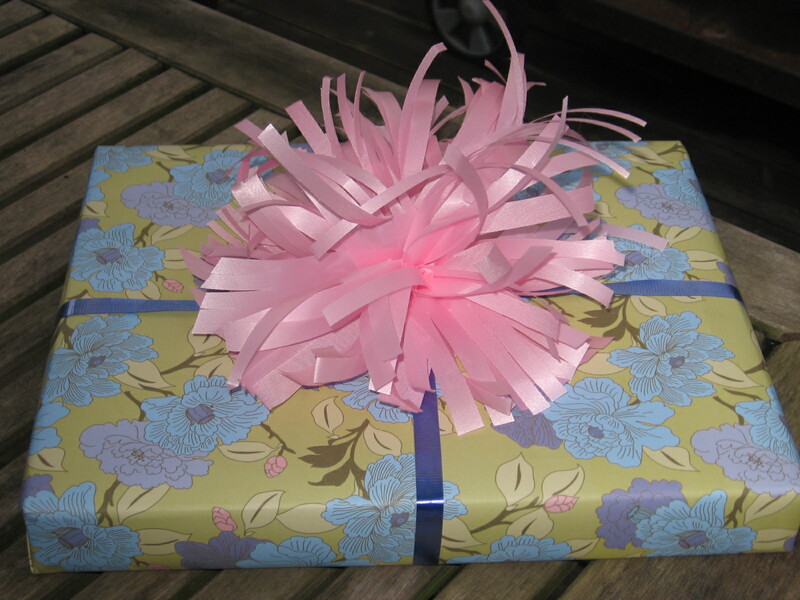 Birthday present wrapped by the Baroness of Bows! Do I show them my appreciation for their thoughtfulness with a box of tea that they might think tastes like flat giraffe piss? Resisting the urge to purchase enough Lipton Cold Brew to hydrate every resident in my apartment building all summer, I don my pith helmet, and hunt for it in the markets in my neighborhood. Unfortunately, I do not find it anywhere. There is a Food Emporium not far from Lincoln Center, but I loathe the thought of trekking down there and coming up empty. Why would the Food Emporium on the Upper West Side still carry it while the one in Tribeca has stopped? Possibly because the Food Emporium on the Upper West Side did not get the message to stop selling it? I was so happy to see it sitting on the shelf, the Edwin Hawkins Singers started playing on my internal iPod. Bonus shot courtesy of Martini Max's iPhone of Tura Satana signing Faster, Pussycat! Kill! Kill! autographs at Chiller convention In NJ in April. This entry was posted in Humor and tagged felix ungar, iced tea, lipton cold brew, tura satana, witches, woody woodpecker. Bookmark the permalink. 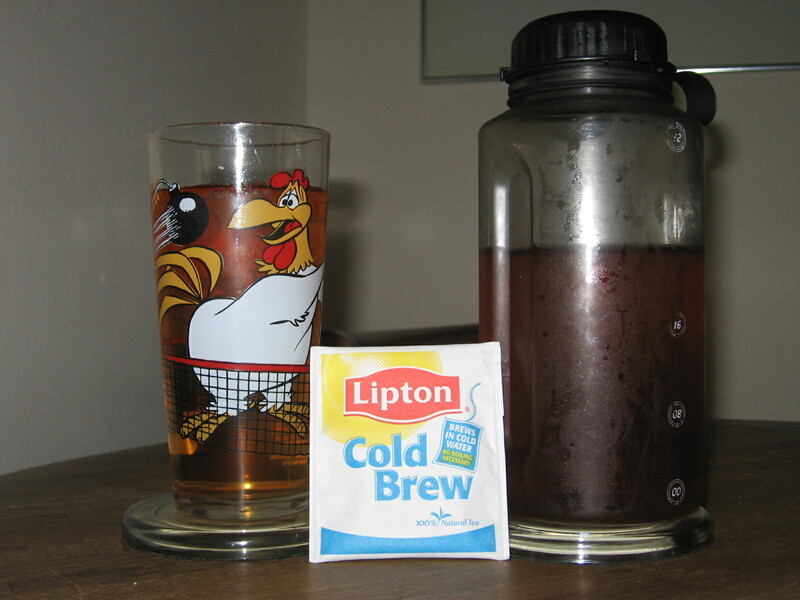 I was afraid of clowns..hated that fake painted smile..
As far as ice tea goes i brew any old tea strong and then chill it- but now I have to try the Lipton cold brew..If Ican find it.